Legionella is the genus name of a large group of bacteria capable of causing, potentially severe and even fatal, disease in humans. 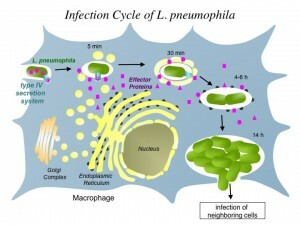 While there are now over 40 named species and some 60 additional serogroups within those species, only about half of them have been implicated in human disease, the most common cause being Legionella pneumophilia, although L. longbeachae, L. dumoffii, and L. bozemanii are the other most commonly isolated species causing human illness. The balance are primarily environmental contaminants, especially of water and water containing systems. The most common source of infection are cooling towers used for air conditioning systems, especially in commercial settings, although swimming pools, showers, sinks, drinking fountains, hot tubs, mist machines, ice machines, and even decorative fountains have also been implicated as infection sources. Infection occurs when the bacteria is inhaled with water vapor or mist, although most people who are exposed and infected do not become ill. There is no risk of person to person transmission. Legionella is a relatively newly recognized cause of human illness, first coming to widespread attention in 1976 when members of the American Legion were sickened at a meeting in a hotel in Philadelphia, of which 23 died while almost 200 were sickened. 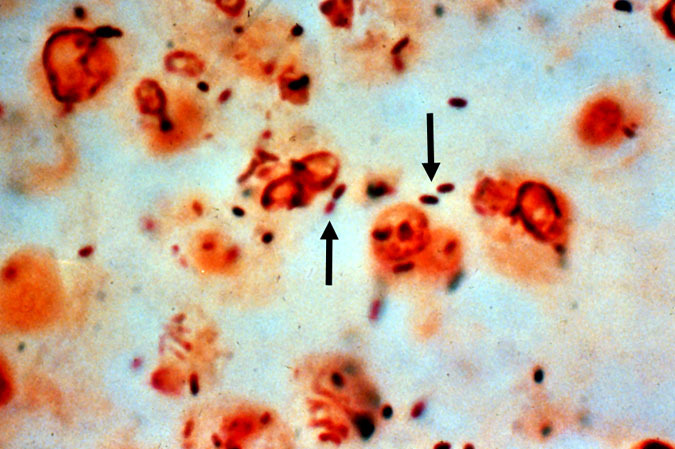 The cause was difficult to identify, remaining unknown until almost 6 months later, because the bacteria stains poorly with commonly used stains such as the Gram’s Stain, although it does stain well with the silver stain most commonly used in pathology laboratories. The organism is also uncommonly difficult to grow without very specific supplementation that was uncommon at the time. However, the growth and recovery requirements are now well understood and the organism is easily isolated and identified in competent microbiological laboratories. Symptoms of disease tend to be non-specific and can include cough, high fever, muscle aches, shortness of breath, and headaches. As these tend to be symptoms of lots of different illnesses, it requires specific testing to determine that Legionella is the actual cause of an illness and this diagnosis should not be made lightly as outbreaks usually affect more than one person and thus are cause for public health concern that large numbers of people may have been exposed since most cases do not occur in home settings but rather in larger more industrial systems that use water. The source of infection can be alarmingly far from where people are sickened. In one case, the bacteria traveled through the air for 6-7 kilometers and still caused illness! Legionella can also cause wound infections under certain conditions, usually in hospital settings where surgical wounds are exposed to infected water. It is therefore very important to follow any directions about bathing or showering that you receive from your doctor after any procedure. Many people have been severely sickened, and some have even died, from infected wounds caused by exposure to Legionella contaminated water. 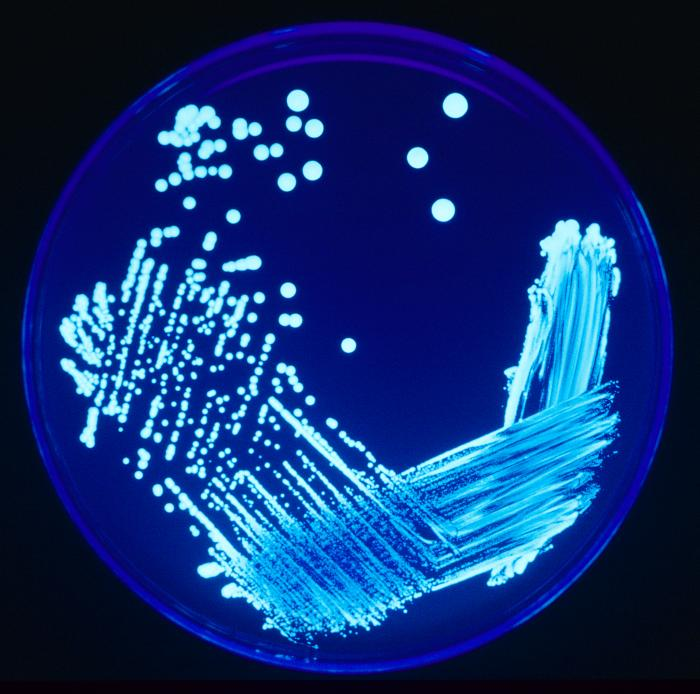 Legionella infections are usually easily treated with antibiotics, although this may have to occur in a hospital setting. Less severe infections, such as those known as Pontiac Fever, do not respond to antibiotics and will resolve on their own. Your physician is the person best able to help you decide what, if any, treatment you require after firmly establishing an accurate diagnosis. Diagnosis is best accomplished through the isolation and identification of the causative organism through the culture of respiratory specimens, or if appropriate, wound samples. 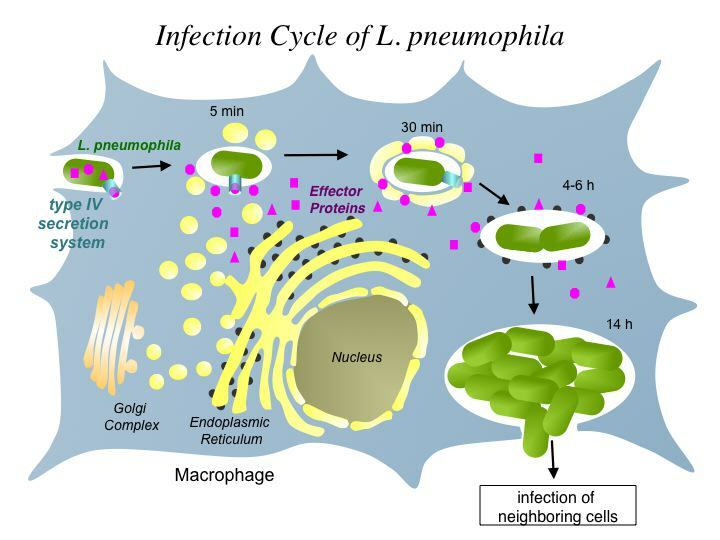 Urine can also be tested for antigens, which is a much faster source of diagnosis, but this is only effective for L. pneumophila group 1 and will not detect infection with other potential species or serogroups, so it cannot be relied up alone to rule out infection. The best method to prevent infection is being sure that water systems are operated properly and disinfected appropriately. This is especially true of hot tubs that have high numbers of users. High temperatures can degrade common disinfectants so special techniques are required to make certain that hot tubs remain safe for use. Always ask about the sanitation and prevention methods employed by the operator of any public hot tub you may choose to use. Those who are at highest risk of infection, including the elderly and those with compromised immune systems, may choose to avoid using hot tubs altogether to eliminate one source of infection. Information specific to hot tubs may be found here. Legionella is also a not uncommon source of infection in hospitals and healthcare settings. These infections are known as nosocomial and are a source of great concern to healthcare providers. Water in these facilities is generally routinely tested for the presence of Legionella and special steps are taken to control or eliminate the bacteria whenever possible, however, the risk is never completely absent despite the best efforts of providers. One step that homeowners can take to help reduce the risk of exposure to Legionella from their home air conditioning systems is to clean duct work with a disinfectant proven to be effective against the organism. One such disinfectant is MoldStat HVAC. MoldStat HVAC is a concentrated solution so a little bit can be used to clean a great deal of duct work, and one bottle is adequate to clean the ducts of an average home. The product is easy to use with a Fogmaster Jr fogger or similar equipment. Larger institutions may also wish to consider adding MoldStat HVAC to their existing prevention methods as an additional assurance of disinfection. MoldStat HVAC is EPA tested and certified to be effective against Legionella species as well as against many other bacteria, molds, yeasts, and viruses that might be contaminating your heating and cooling system. In addition, MoldStat HVAC will help reduce and remove odors from your ventilation system and has no scent or offensive odor. MoldStat HVAC is safe and easy to use, is certified and guaranteed safe for all duct work, AC coils, and other cooling equipment, and as such is an ideal component of a regimen of standard duct and home maintenance. Try it today! 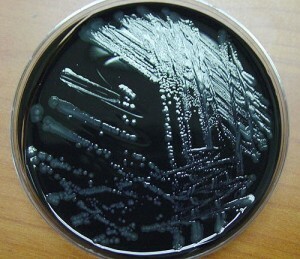 This entry was posted in Bacteria, MRSA Home. Bookmark the permalink.